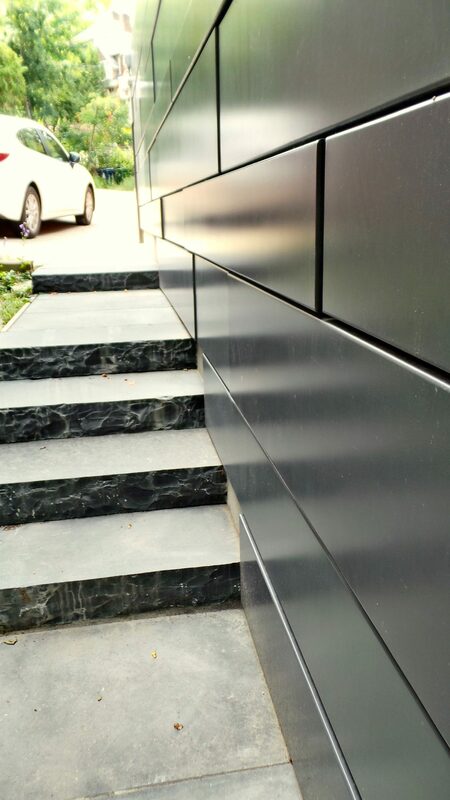 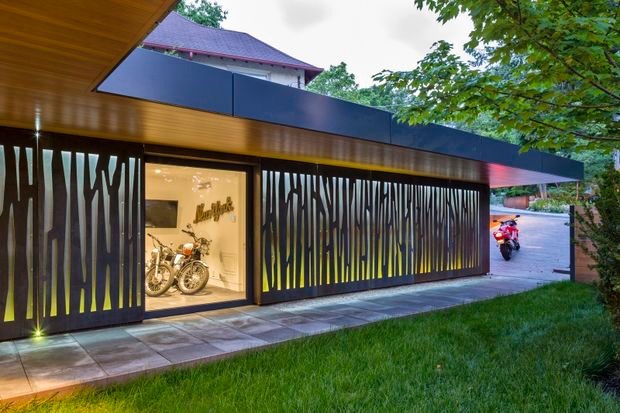 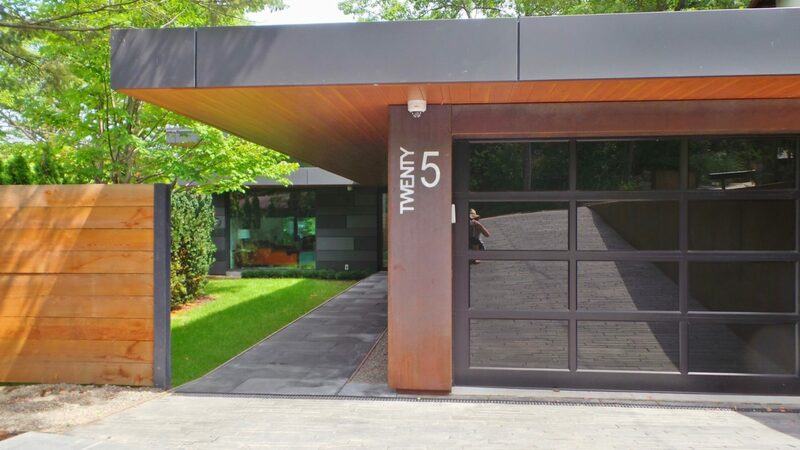 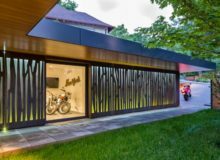 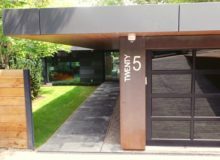 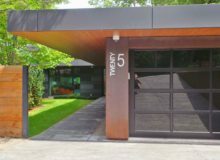 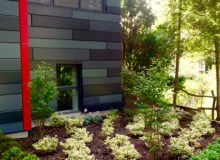 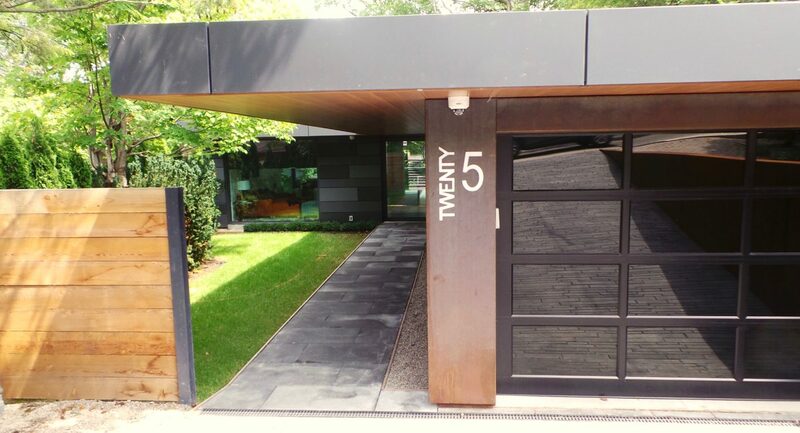 This modern home designed by Altius Architects required a posh, modern landscape that both embraced the contemporary exterior and materials along with the wooded view of High Park’s Grenadier Pond. 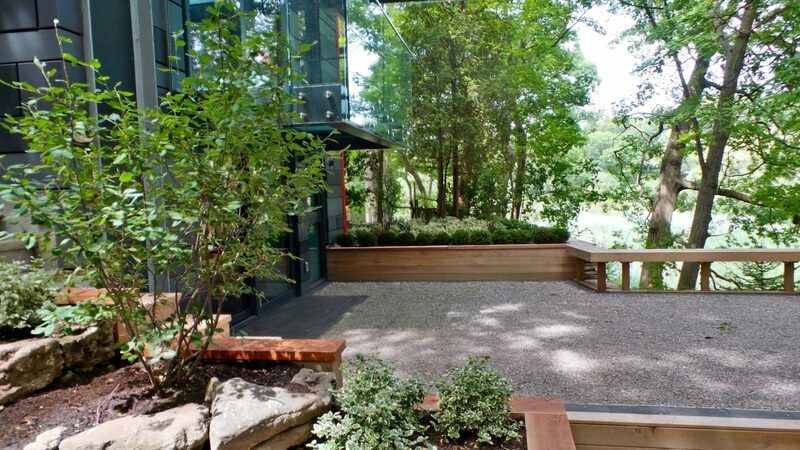 The entrance is both simple and dramatic. 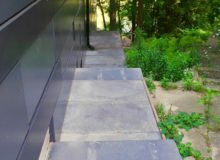 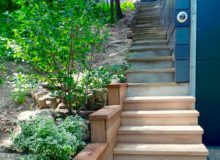 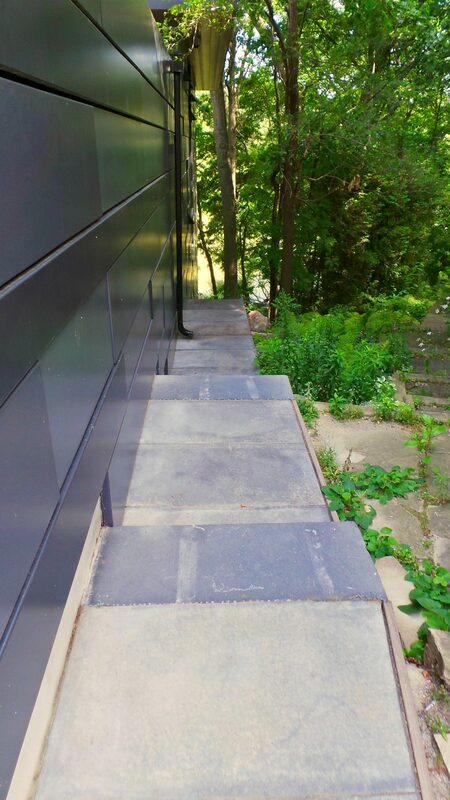 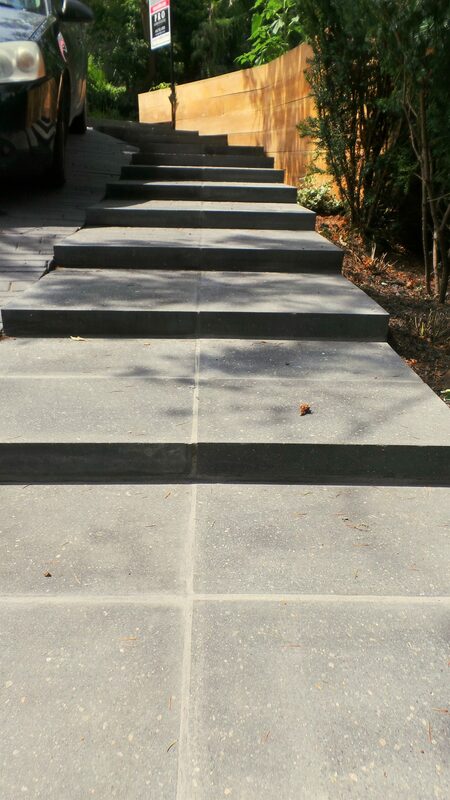 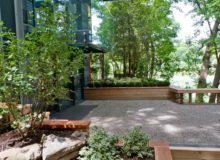 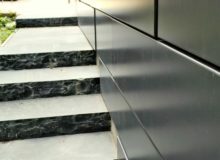 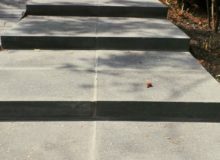 The owners have a lot of privacy as a wide Permacon stone stairway winds down alongside the warm wall of douglas fir and the steep driveway towards the gated entrance to the home. 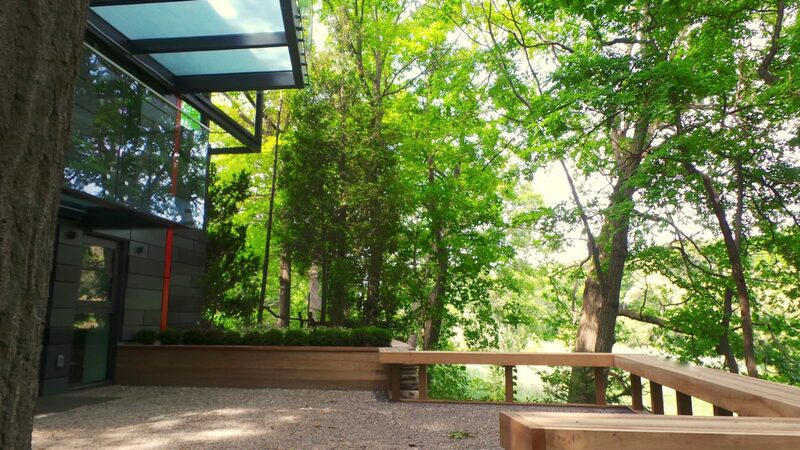 Once inside the quiet entrance, one feels the lightness of the architecture. 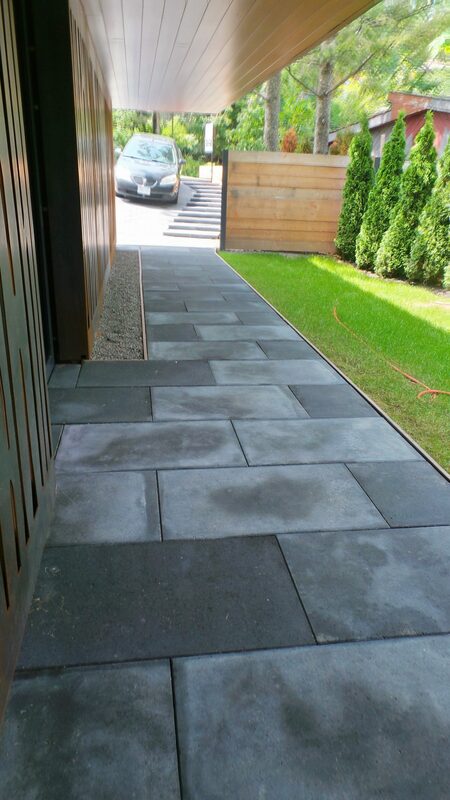 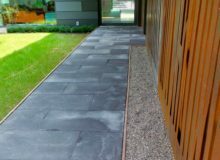 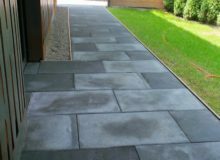 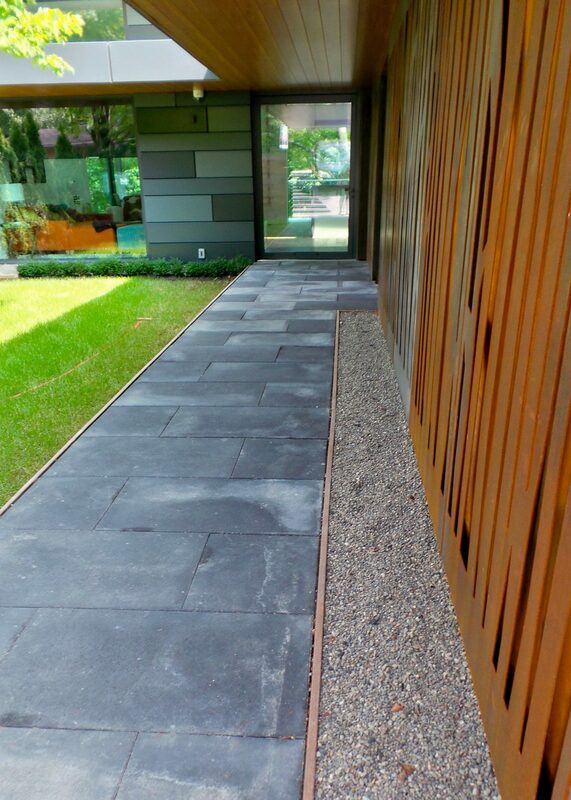 The glass and wood and stone work in harmony with the manicured grass and modern linear walkway. 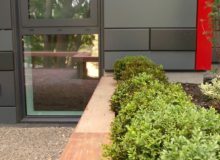 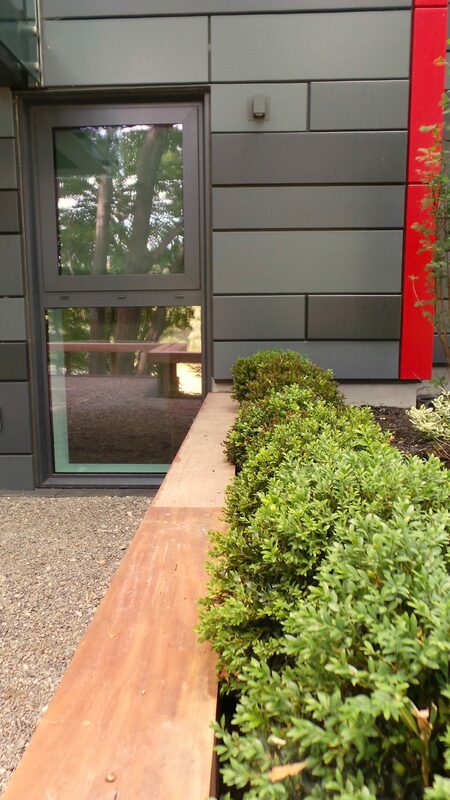 Pea gravel and boxwood run along side the walls and a large glass door seems to be leading straight through the home to the sunshine beyond. 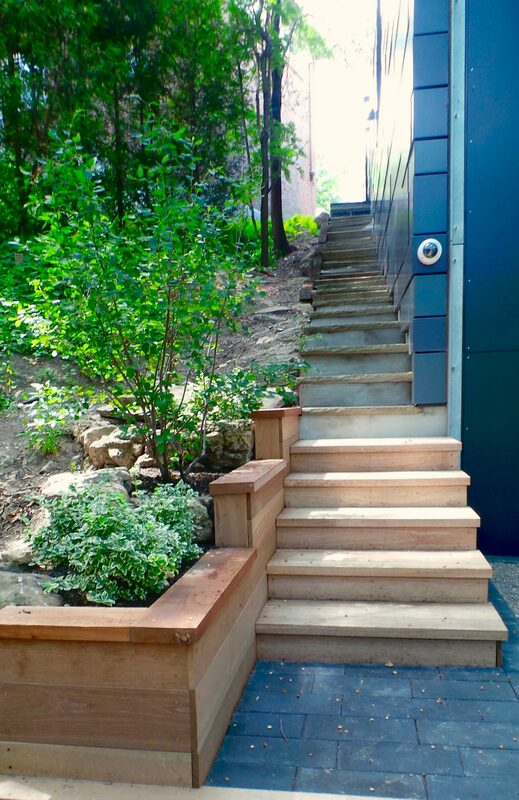 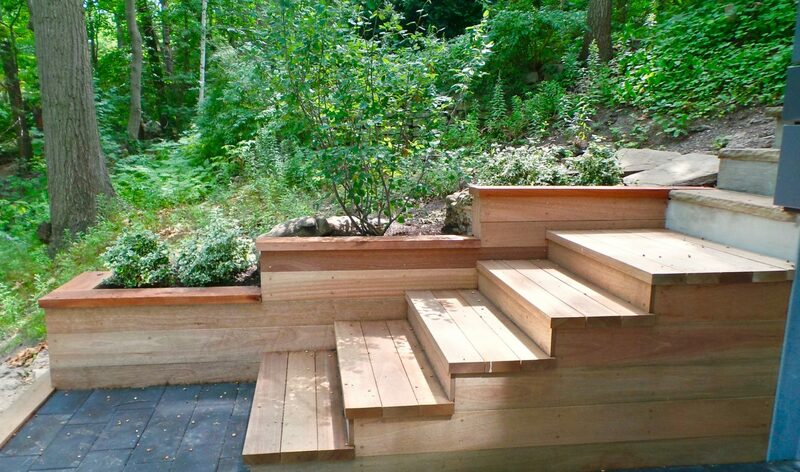 There is a stairway on the right of the home that takes you down to a dramatic scene. 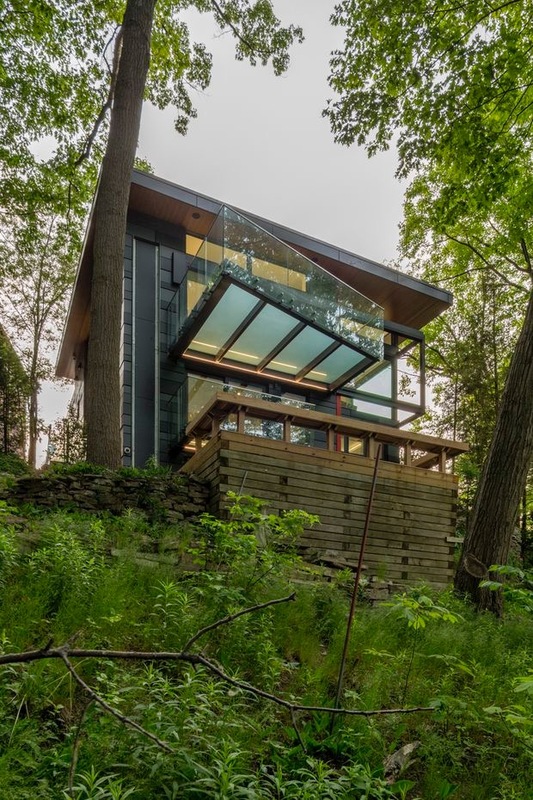 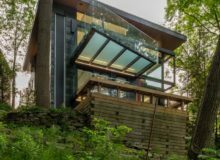 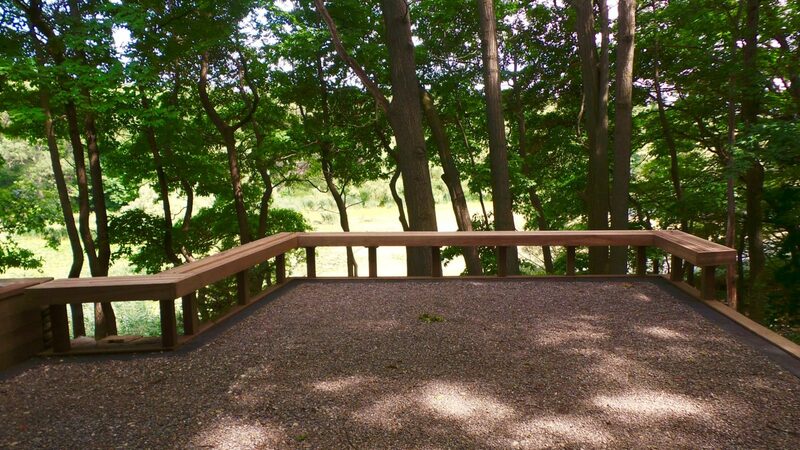 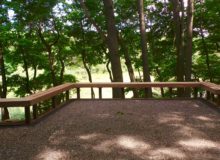 A wooded glade with the large pond beyond is admired through the large panes of glass of the home and the enormous deck that stretches out into the trees. 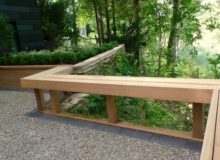 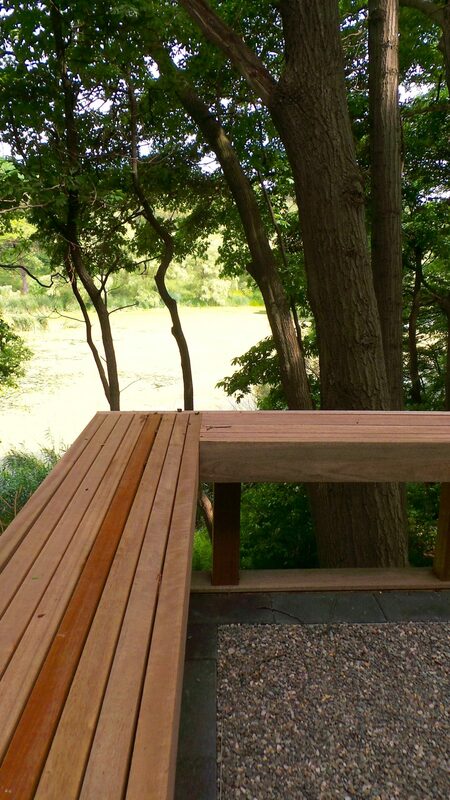 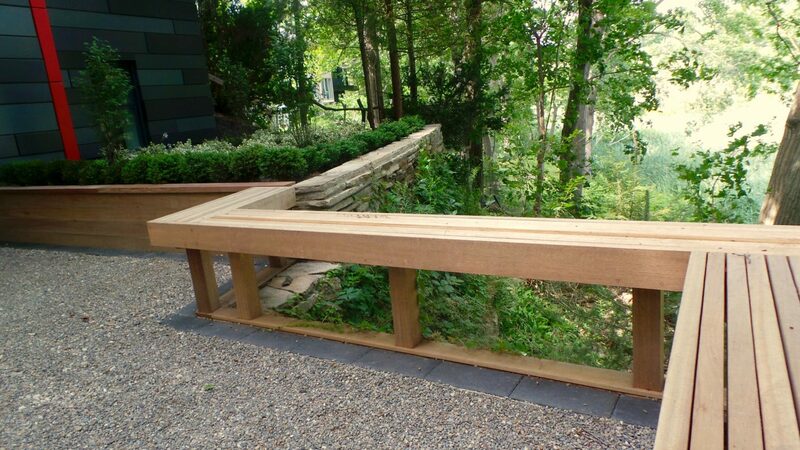 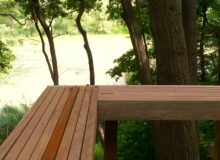 A wooden bench was built to enclose the perch so that visitors don’t topple off into the water below. 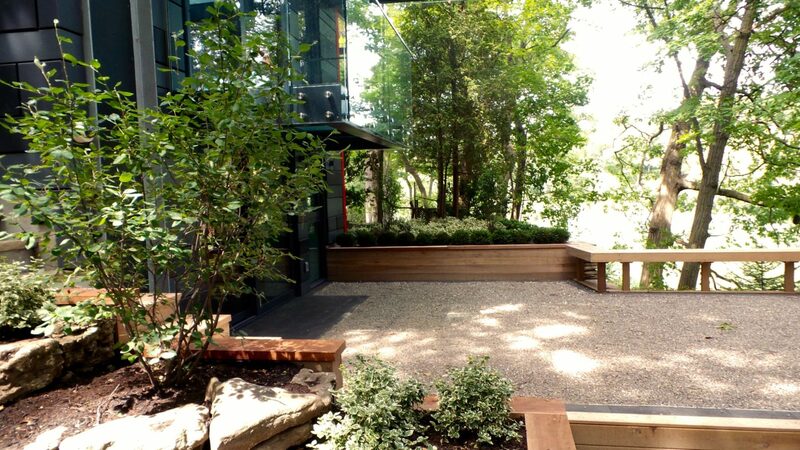 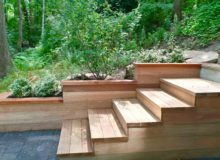 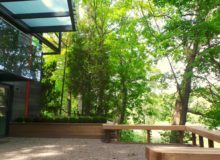 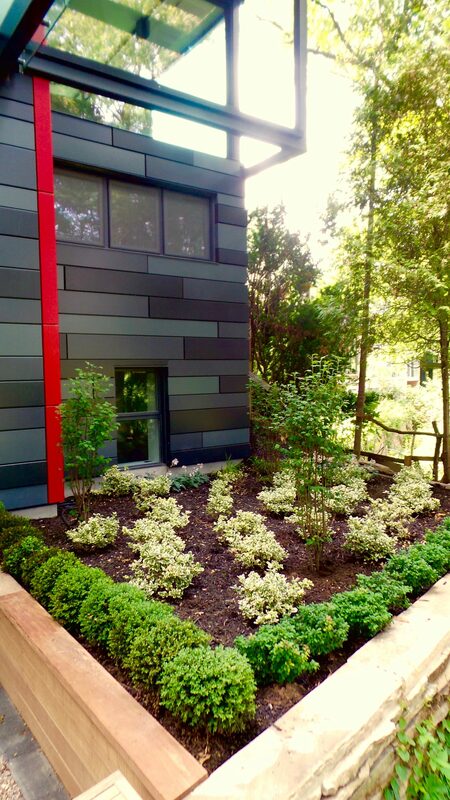 A raised shade plant flower bed softens the modern elements of the home and blends the cottage woods and contemporary glass and metal. 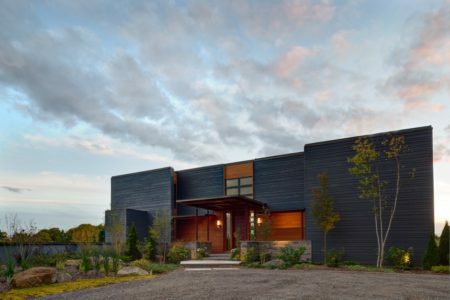 This home was featured in The Globe and Mail for it’s handsome design.